This is Miss Kylie Minogue on stage with legendary Giorgio Moroder, with the start of the Australian leg of the Kiss me once tour. In my opinion, this is another huge milestone for the career of Kylie. 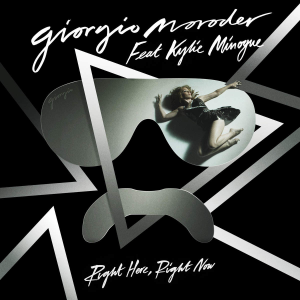 As you know, Giorgio Moroder is THE man behind part of Donna Summer most legendary recordings. Do you know that Kylie Minogue did a cover of the classic ” I Feel Love”?